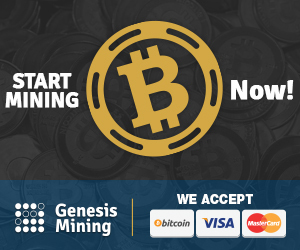 This is an easy to get started service that pays its users Bitcoin to visit websites, all you need is an Bitcoin wallet address to get you started collecting coins. You get paid between 30 and 200 satoshi per visited website, depending on the time you need to spend before going to the next website (10 to 60 seconds per website). 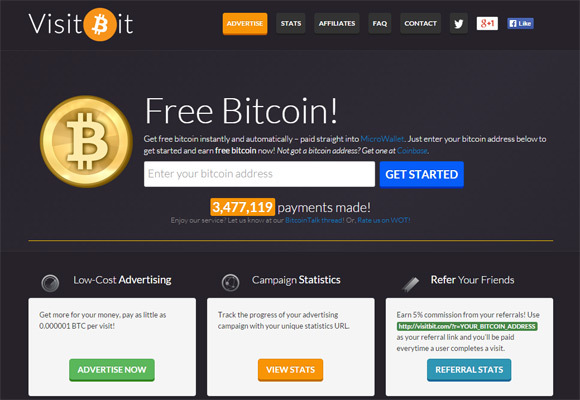 The minimum amount you need to earn before you can get paid is 0.00005825 BTC and it took us a bit over an hour to reach that amount – there are quite a lot of ads available to click on. The service relies on Microwallet for the transactions and there is a small fee that you will be charged by that additional service for the payment and it may also take a day or two to get your payment sent to your Bitcoin wallet address. The good thing about the use of a Microwallet is that you can get it funded from multiple sources and get the payment at once. There is unfortunately no information about the amount you have collected so far, so you need to check the total amount by entering your Bitcoin address at the Microwallet website. The services comes with an affiliate program for users that want to be able to earn a bit extra by referring your friends. The referral program however is not that much attractive and generous as you will be getting just 5% commission from your referrals, and there are alternative services that offer up to 50%. 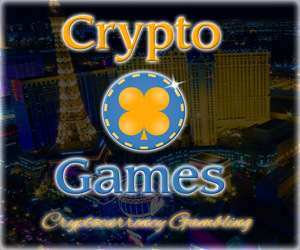 Still even 5% is better than nothing, so if yo are planning on using this service you as well might want to take advantage of the affiliate program too.